We had this bag for sale back in the day, as far I remember we sold five copies and I guess the last one went to Chile. It was our first Odinn mask design but we get some tired to carve this shape. 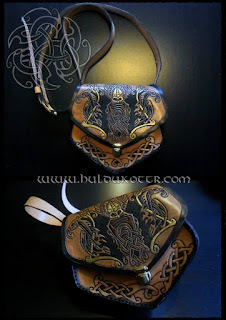 A new Odinic bag is one of our future projects for the shop.